Pastors and chaplains aren’t the only ones in ministry — every Christian is called to be a minister through his or her work in the world. But in order to fully understand what this entails, we must look to the Bible and develop a fuller understanding of work as any way we interact with God’s creation. Doing so may transform our view of how Sunday morning impacts our work-a-day lives — and vice versa. In Every Waking Hour, Benjamin Quinn and Walter R. Strickland develop a biblically and theologically rich view of work, vocation, and how we may glorify God through everything we do. Many Christians struggle to make sense of their work lives. Some of us are tempted to find our identities in our careers. Others of us are tempted to see our work as drudgery. This book shows us how to see our work through the prism of the kingdom of God. This book is biblical, practical, and wise. Quinn and Strickland have written an accessible, inspiring, and thoroughly biblical introduction to a Christian view of our daily work. It is both visionary and practical, and I recommend it heartily to any Christian who wishes to be serious about being a salting salt in the world through their work. I have often thought it was risky to designate a single person in a congregation as ‘the minister’ when the Christian Scriptures seem to place ‘the work of the ministry’ on the shoulders of all who follow Christ. For this reason and more, Every Waking Hour is a gift to us all one hundred times over. Strickland and Quinn remind us that our job descriptions cannot ultimately be written on cards, etched into name plates, or affixed to email signatures. They are given by God for the world’s good and God’s glory. This book casts a compelling vision for vocation that is relevant to any believer with breath in their lungs and it arrives not a moment too soon. Every Waking Hour shows that God’s calling and power in all of our lives, not just in church, is one of the deep patterns running through Scripture from beginning to end. Every Christian needs to see how this story is essential to the gospel story itself. Well done! Humans were created for work. It’s a shame so many Christians don’t know how to approach our work–and other vocations–as a key component of our faith. I’m thankful my friends Benjamin Quinn and Walter Strickland have written this timely book. I recommend it as an excellent primer on the Christian understanding of work and calling. I pray the Lord uses it to help us think rightly about God and his world and to pursue our callings in ways that glorify his name, advance his kingdom, and contribute to human flourishing. Every Waking Hour dispels the ‘hierarchy of callings’ myth that is so pervasive in the church today. Striking a unique balance between the theological and the practical, this book is a must-read! Every Waking Hour is an excellent primer for seeking God’s wisdom about flourishing in our everyday work. Quinn and Strickland bring the burning insights of the Scriptures — along with theological luminaries like St. Augustine, Abraham Kuyper, and Dorothy Sayers — to bear on the most pressing questions about our work and its place in God’s kingdom. Both winsome and thoughtful, their immensely practical take is a great starting point for anyone seeking a more biblical and holistic way forward on the matters of work and vocation. Every Waking Hour is a warm and engaging introduction to the proper place of work in Christian life. Quinn and Strickland give a clear overview of the intrinsic value of work in the Bible and its relationship to mission, along with a practical framework for putting theology into practice in churches. The sacred-secular dualism born of reductionist gospel has crippled the church’s mission to make known the good news that God is renewing all things including all of human cultural life. It is encouraging to see more and more folk in the church, especially the younger generation, waking up to creation-wide breadth of God’s restoration. In this book, Benjamin Quinn and Walter Strickland clearly articulate the foundational biblical case that every waking hour belongs to Lord Christ. This book is well-written and rooted deeply in Scripture. It is an excellent introduction to the subject and could be used in a variety of settings to equip the laity for the calling to be a preview of the coming kingdom. Every Waking Hour will help believers see their work, vocation, volunteerism, rest, and leisure as integral parts of the display of the kingdom of Christ in the spheres of man. Erasing the false dichotomy between sacred and secular callings, this work offers a redemptive-historical message that frames each believer’s daily activities within the mission of Christ to the nations. Quinn and Strickland bring Ephesians 4:12 to life! 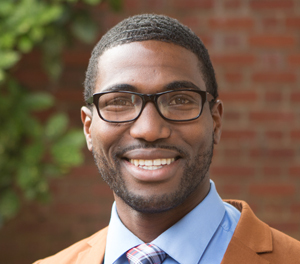 Walter R. Strickland II is special advisor to the president for diversity and instructor of theology at Southeastern Baptist Theological Seminary. 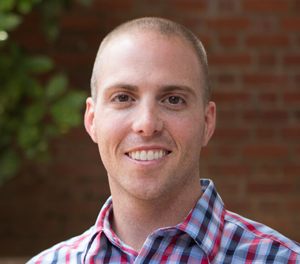 Strickland holds a BA from Cedarville University, an MDiv and ThM from Southeastern Seminary, and is pursuing a PhD in theology from the University of Aberdeen (Scotland).